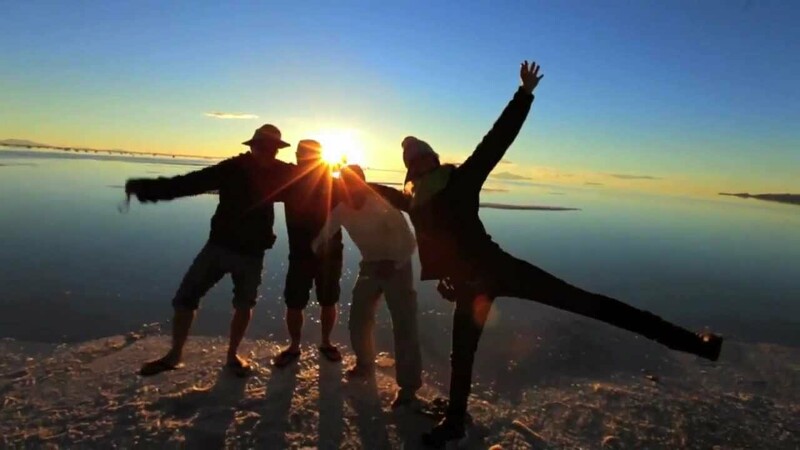 In Bolivia it is possible to enjoy attractions of unequal natural beauty such as the unending Uyuni saltflats, mosaics of incredible biodiversity such as the Madidi National Park, contrasting landscapes in the Andes mountain range, enigmatic places such as the Titicaca Lake and the fabulous churches of the Jesuit Missions in the eastern part of the country. Location: Bolivia is located in the heart of South America. It borders at the northeast with Brasil, at the southeast with Paraguay, on the South with Argentina, at the southwest with Chile and at the West with Peru. Political division: It is divided into nine departments: Chuquisaca, La Paz, Santa Cruz, Cochabamba, Oruro, Potosi, Tarija, Beni and Pando. Constitutionally, the capital is the city of Sucre in the department of Chuquisaca, and the seat of government as well as the administrative capital is the city of La Paz. Geography: Bolivia is a country with great geographic contrasts that gathers an interesting multiplicity of ecosystems of andean, amazonian and chaco characteristics, each with unique landscapes. It is precisely its geographic position, characterized by a diversity of heights and climates, which has contributed to a variety of human settlements giving way to a fascinating cultural and ethnic mixture constituting a highly valuable heritage. ** The message was sent correctly. ** The message could not been sent..
** Thank you for subscribing to Bolivia Travel! ** Your subscription was not received. Try it again.